サービス レベル トレンド This dashlet shows the service level met and missed percentage trends for each queue in the organization during the last 24 hours. To meet the interval-level service level goals, contact centers are forecasted and staffed down to the 30-minute interval. These forecasts ensure that they have the correct number of skilled agents staffed to handle the workload demand. All planning is to make certain that the service level interval is met for the day. This process includes forecasting for workload, shrinkage, % occupancy, and schedule adherence. 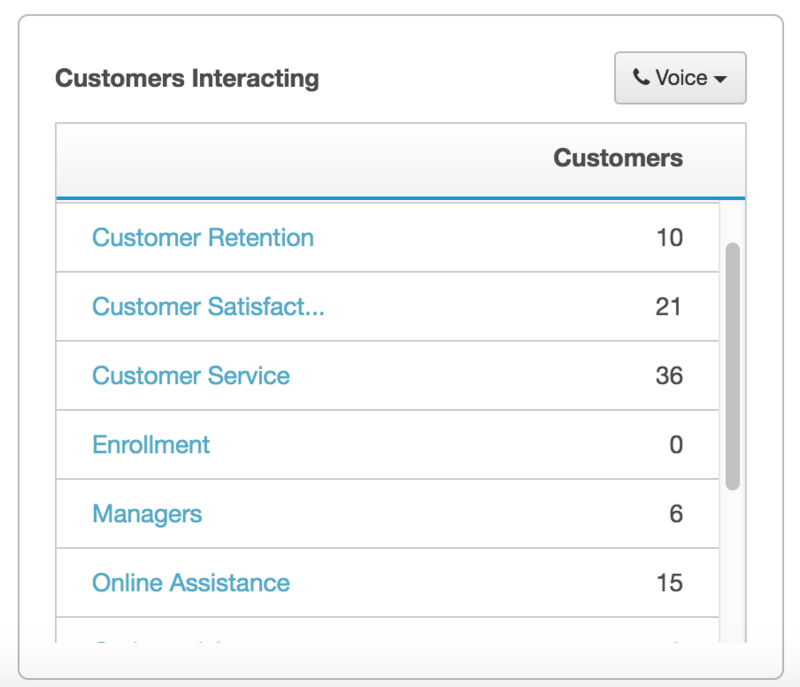 This dashlet shows the interacting customer count for each queue in the entire organization during the current interval. メモ: このページを表示する telephonyAdmin の役割が必要です。 詳細については、次を参照してください。 人とアクセス許可について.